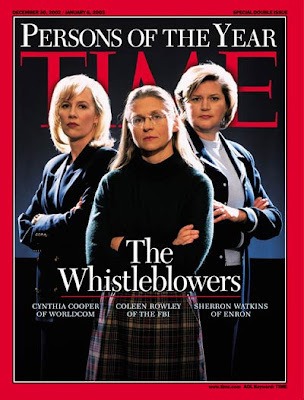 But, that was back during the Bush years, when the media thought whistleblowers were cool. Last week, the Obama White House fired inspector general Gerald Walpin after he identified millions of dollars in AmeriCorps funds that were wasted or misspent. The man in charge of Americorps is a top Obama supporter and friend. Mayor Kevin Johnson used AmeriCorps grants to pay volunteers to engage in school-board political activities, run personal errands for Johnson and even wash his car. This week the Obama White House smeared Walpin claiming he was “confused” at a meeting and therefore had to be fired. The White House has fired two inspector generals in the last two weeks. 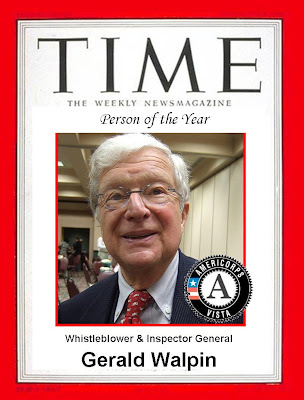 But, don’t expect TIME Magazine to recognize Walpin for taking “huge professional and personal risks to blow the whistle on what went wrong” at Americorps. Things don’t work that way in the Age of Obama. Byron York writes at The Washington Examiner today on how the GOP can crack the Americorps scandal.